Spokane’s Jan-Michael Gambill retired from his Wimbledon qualifying match Thursday, trailing Israel’s Noam Okun 6-2, 5-4. 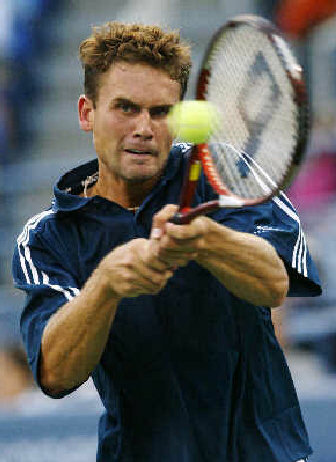 The Wimbledon Web site reported that Gambill had to quit because of recurring shin injuries that flared up during the match. Okun advances into the tournament. It was at Wimbledon in 2000 when Gambill played his best Grand Slam tournament, advancing to the quarterfinals before losing to fellow American Pete Sampras.